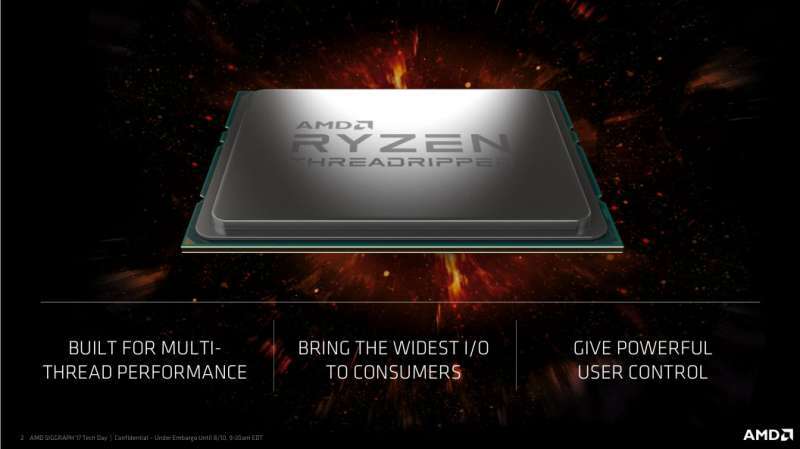 Just a few months after the launch of their mainstream Ryzen CPUs, AMD is launching their highly anticipated HEDT Ryzen Threadripper CPUs based on the Zen micro-architecture. 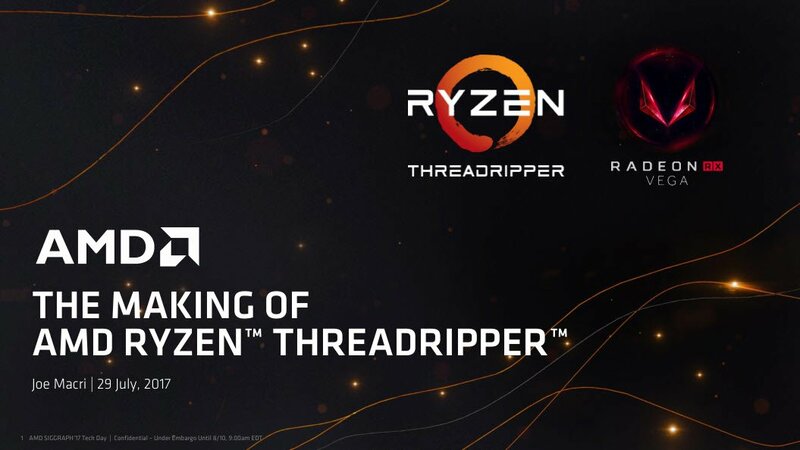 The new AMD Threadripper 1950X and 1920X now make up the most powerful CPUs in AMD’s consumer CPU lineup. It’s no secret that Intel was the dominant force in the enthusiast CPU market however, with the release of AMD Ryzen, AMD demonstrated that it can still go toe to toe against the blue team. 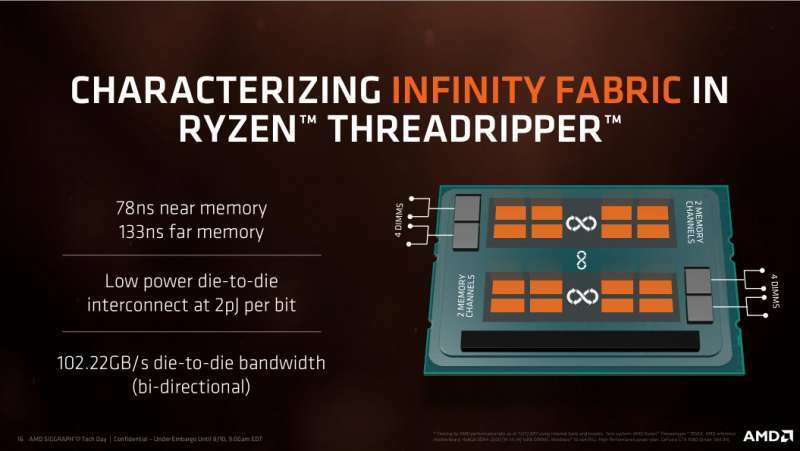 While the Ryzen 5 and 7 series CPUs aim to compete against Intel’s 6-core and 8-core CPUs, the new Ryzen Threadripper 1950X and 1920X are designed to compete against Intel’s X-Series processors such as the newly released Core i9-7900X. What’s special about Ryzen Threadripper’s design is that it’s the first of its kind to have two CPU dies tied together in a single package. The new CPU features two Summit Ridge Ryzen CPUs complete with its own memory controllers and PCIe lanes paired together in a MCM (Multi-Chip Module) configuration. Interlinking the two is AMD’s Infinity Fabric, AMD’s new high speed interface that not only links both of the CPUs together, but also links the CCX within each CPU together as well. Given the modular design, lowering latency and ensuring signal quality is the biggest challenge for AMD. Unlike Intel’s monolithic single die designs, AMD’s multi-die modular design places the main bottleneck in the interlink interface. Since AMD is using a two CPU MCM design, the memory architecture is fairly interesting. Rather than each CPU having a quad channel memory controller, each CPU has its own dual channel memory controller and each is responsible for managing its own portion of the memory. As a result, latency issues come into play when one CPU is attempting to access memory on the second CPU as data now needs to travel through the Infinity Fabric. According to AMD, latency is rated at 78ns when accessing the memory closest to the die and 133ns when accessing the memory on the other die. Bandwidth between the two dies is 102.22 GB/s bidirectional. Infinity Fabric is extremely energy efficient as well with power consumption at just 2 picoJoules per bit transferred. For improved memory management, AMD has implemented two methods of memory management which they refer to as Distributed Mode (UMA) and Local Mode (NUMA). UMA mode is designed to help increase total available bandwidth at the expense of latency by using all four channels of memory simultaneously by interleaving data on both dies. As a result, this increases total throughput, but at a slight latency hit. NUMA mode on the other hand slightly decreases total throughput by depositing data on the memory closest to the die, but this comes with a slight throughput hit. With 64 PCIe lanes and just 4 lanes wired out for the chipset, the Ryzen Threadripper family is designed to support all PCIe peripherals you can throw at it including multi-GPU configurations, multiple PCIe SSDs and other high-performance expansion cards. One interesting point about Threadripper is that it uses the most highly binned Summit Ridge CPUs manufactured. 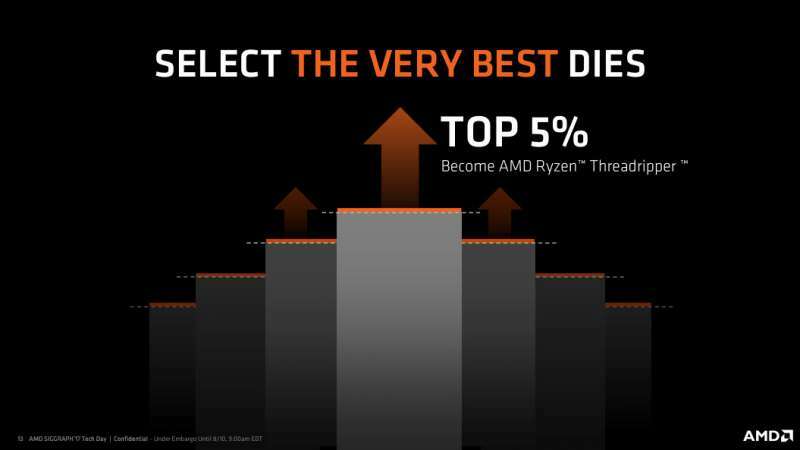 According to AMD, Threadripper uses only the top 5% of Ryzen Summit Ridge dies which ensure a higher level of quality, performance and overclocking capability.